Both pro-Palestine and pro-Israel activists campaigned for four weeks over whether or not the referendum should be included. Students reached out to classmates, acquaintances, and even strangers to advocate for their cause, and when it came time for the SGA meeting, over 100 students packed into the Diana Center Café. Students fiercely debated the merits of the Boycott, Divestment and Sanctions (BDS) campaign—which calls for boycott against Israel until it meets what the campaign describes as Israel's “obligations under international law”—along with the politics of Israel, and the Jewish experience itself. “Within political and cultural groups, it's definitely pretty divisive, especially with regards to students not feeling welcome in groups or students specifically not joining groups due to their stance specifically for or against BDS,” JVP member Jack Snyder, CC ’19, said. 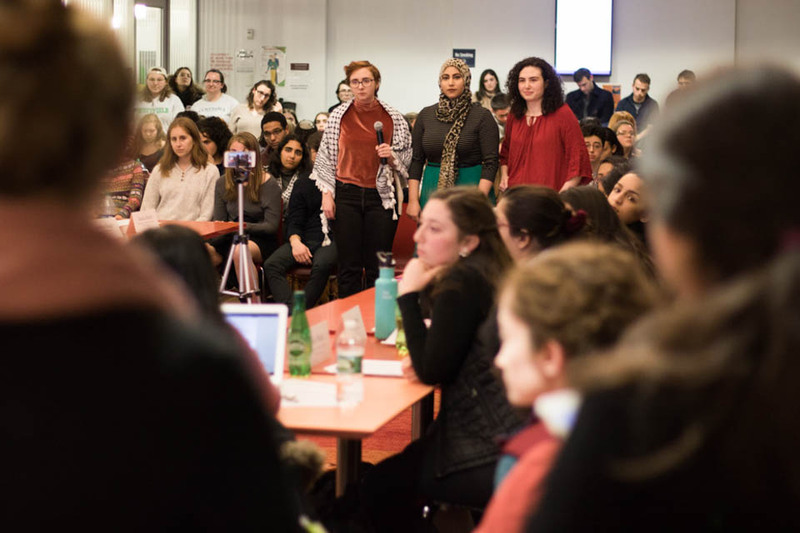 Of the almost two dozen MESAAS professors reached for inquiry by Spectator regarding this topic, no professors were willing to respond on the record. “Our identity is inherently politicized. ... I’ve yet to talk to an Arab that doesn’t take a stance, or doesn’t have somewhat of an opinion. Some Jewish students—they have no proximity to the issue,” Matalka said.